The SIG Sauer P320 Compact has a unique modular design that lets you change the caliber, size and fit of the firearm to suit your needs. 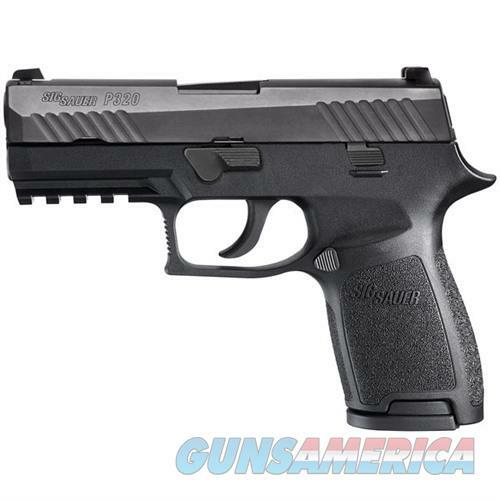 With its compact frame, the SIG Sauer P320 Compact is great for target shooting and home defense, as well as many concealed carry scenarios. A removable fire-control assembly lets you convert the SIG Sauer P320 Compact to a different caliber pistol, while still retaining the same trigger group. The three-point takedown safety system will not let you break the pistol down with a magazine inserted or without the slide locked to the rear, making it difficult for an accidental discharge to occur.